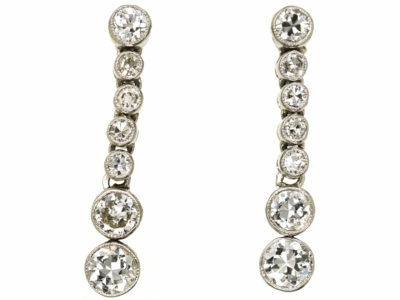 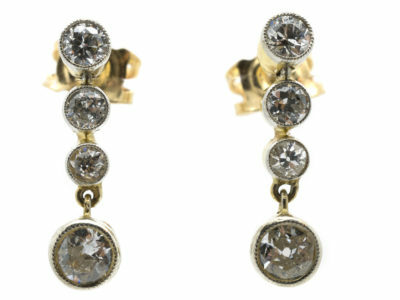 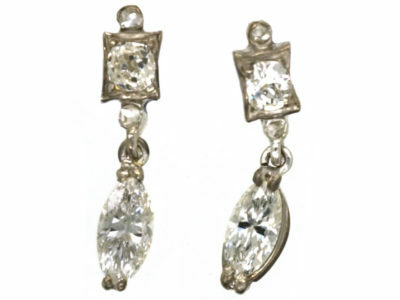 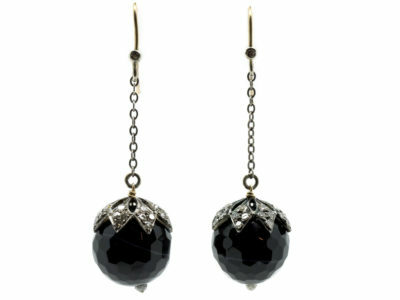 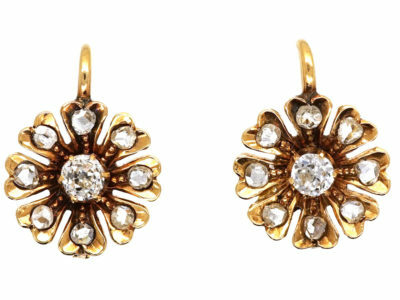 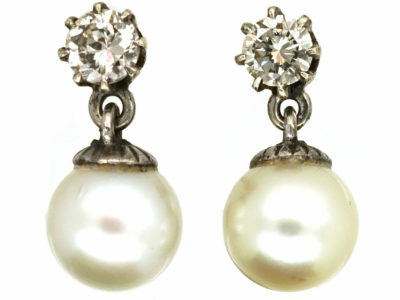 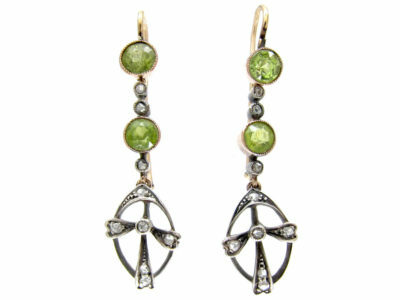 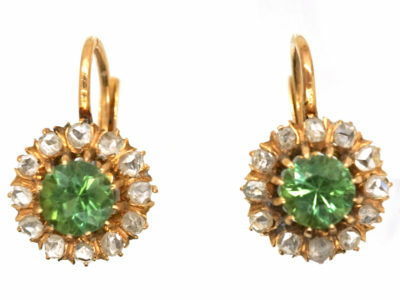 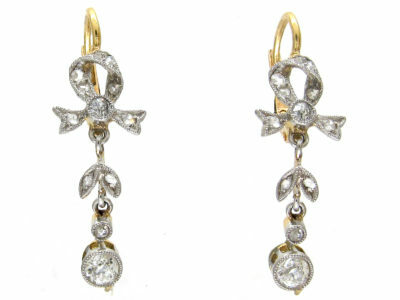 A very pretty pair of drop earrings. 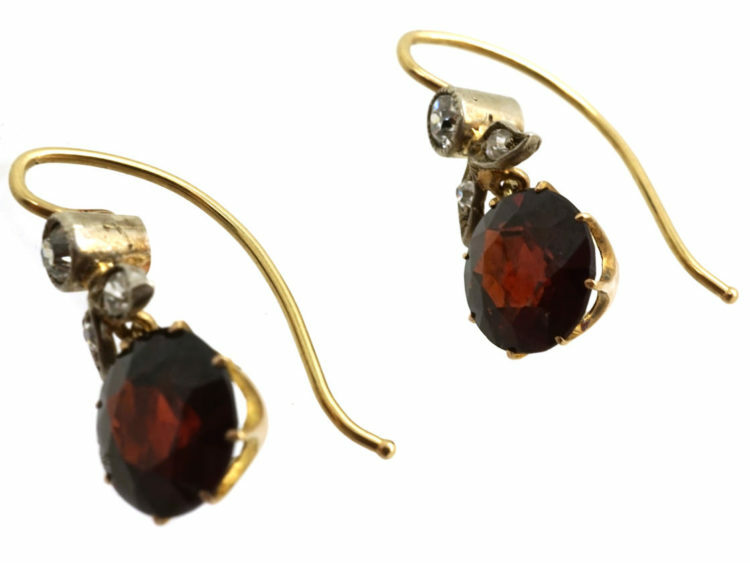 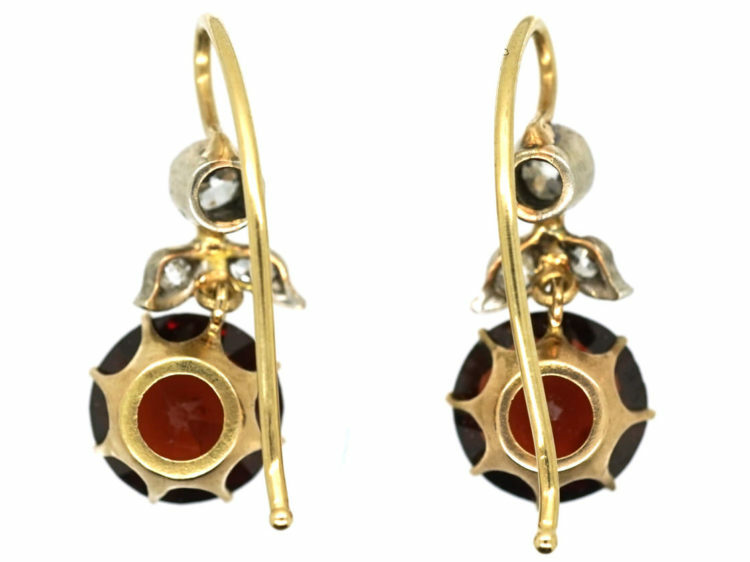 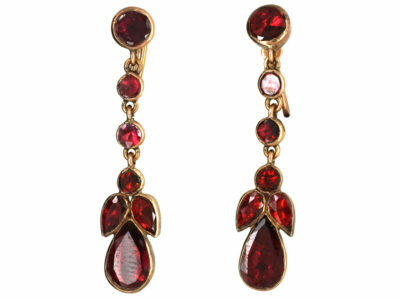 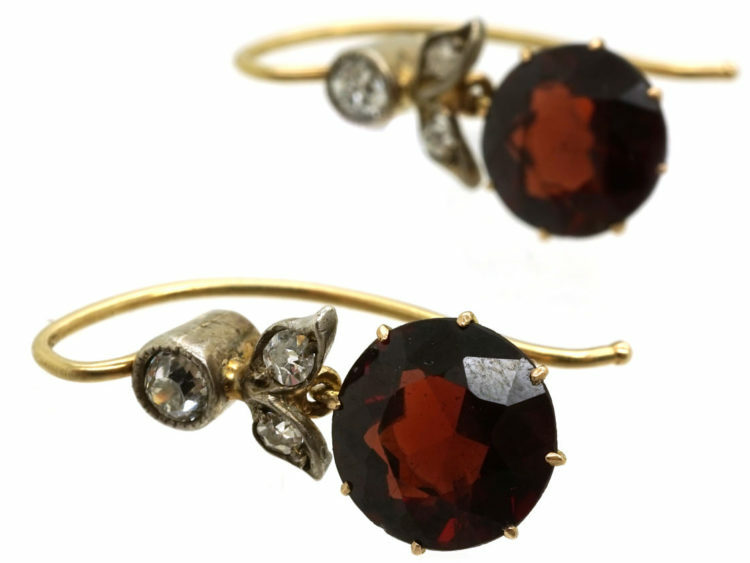 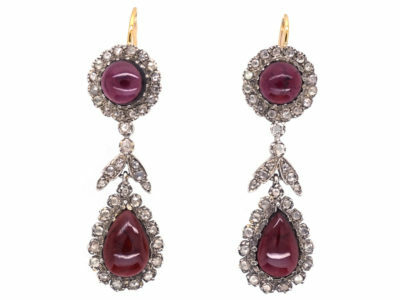 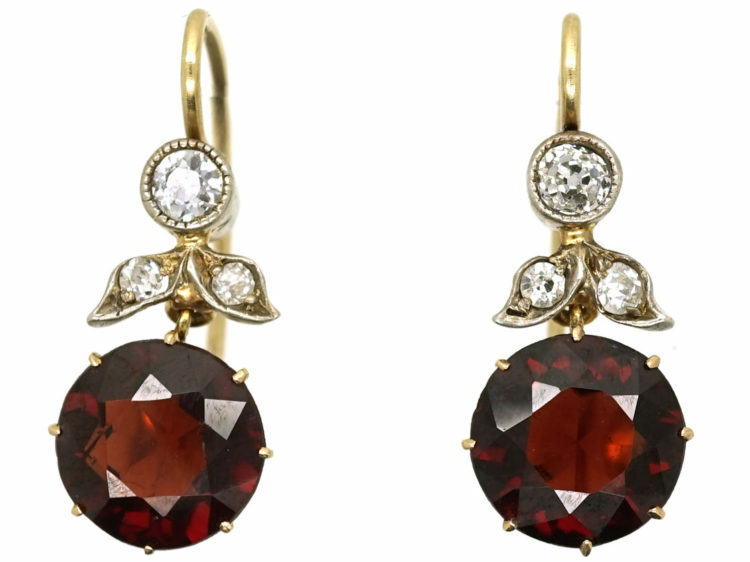 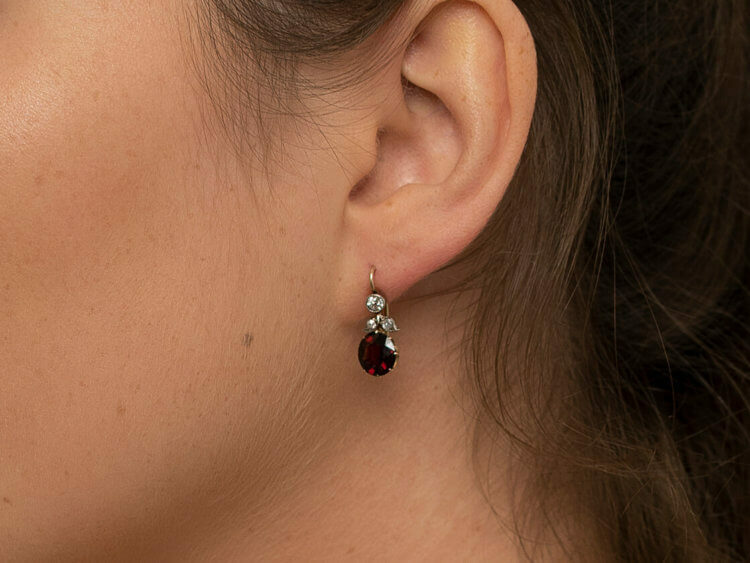 They are set with well matched deep red garnets with a leaf design set with three diamonds above each one. 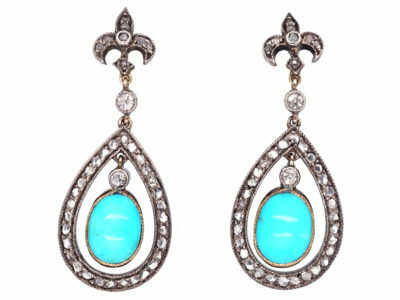 They were made circa 1900-1910. 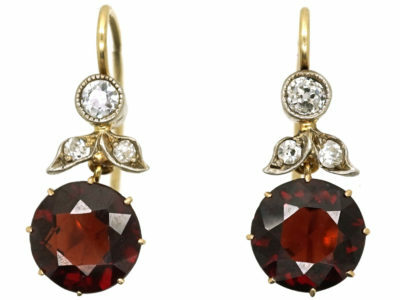 Garnet is the birthstone for January and the stone that celebrates the 2nd anniversary of marriage.